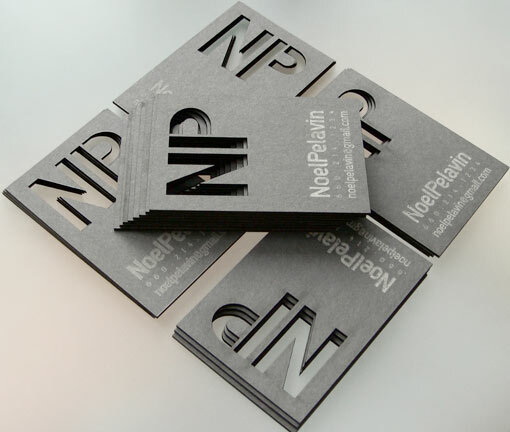 Personal business card inspiration by Noel Pelavin. I was looking for a cross between elegant, modern, business and having a clean design with heavy gage 24-pt laser cut cotton charcoal card. This was not an easy task to find a high end company to produce these specs. I believe I accomplished something unique. Final lay-out and laser cut design completed by b-type design in Florida.